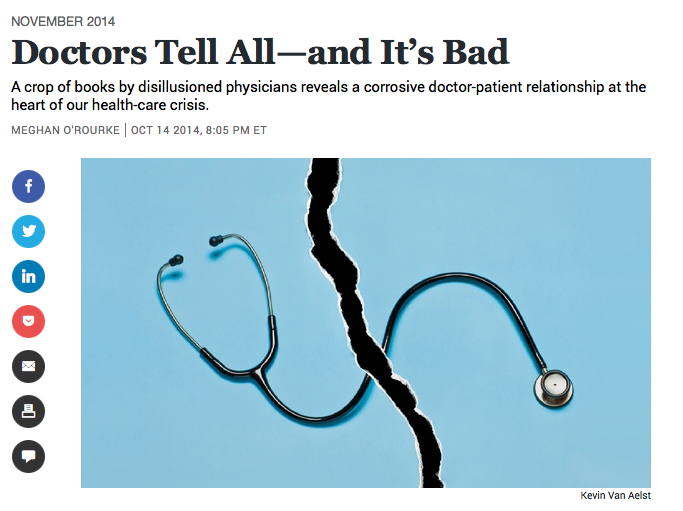 The recent article, “Doctors Tell All – And It’s Bad,” published in The Atlantic is confirmation how troubled our healthcare system is, with a new twist, how unhappy doctors are caught smack in the middle. Meghan O’Rourke describes doctors’ difficulties, our system’s breakdown and the effect on patients’ care, outcomes and comfort. I long have been following the writing of doctors who have been themselves chronicling how care has gone missing from healthcare – Doctors Danielle Ofri, Sandeep Jauhar , Victoria Sweet, Rachel Naomi Remen. This is another worthwhile read to understand what’s really below the icecap. Is the cure for type 1 diabetes in sight? 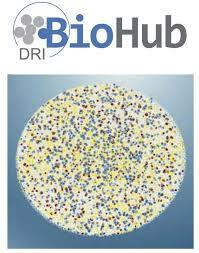 The DRI thinks so and it’s called BioHub. When I was first contacted by the Diabetes Research Institute (DRI) that they had news, I was curious. When I read the press release, I could feel the little hairs on my neck stand up. When I talked to Dr. Camillo Ricordi, DRI’s Scientific Director and Chief Academic Officer, about how close they feel they are to creating a biological cure for type 1 diabetes, as opposed to a mechanical cure like the artificial pancreas, I could feel both his doggedness and determination; he’s been working toward a cure for decades, and feels they’ve turned a corner. In his words, now all the needed technologies are coming together. Anyone with type 1 diabetes, heard upon their diagnosis, that there’d be a cure within five to ten years. For me that was 41 years ago. And we’ve all heard lots of studies that report cures in mice. But this isn’t about mice, and whether the BioHub, what DRI is hoping will house islet (insulin-producing) cells that can be fully functioning in the body without anti rejection drugs becomes the cure, we will have to see – you got it, five to ten years. But I for one, do sense we’ve taken a quantum leap forward no matter what happens. And so does DRI. See my complete story on The Huffington Post. Ten days ago, while presenting at theTCOYD event in Tampa, I wandered around the Exhibition Hall looking to see what’s new – and I actually found something, and someone. I found Chris Angell, a young man with type 1 diabetes standing behind a table with his product, GlucoLift. GlucoLift is, unlike other glucose tablets, all-natural. It contains no artificial color, flavoring or dextrose from genetically modified corn. GlucoLift contain the same 4 grams of glucose/per tablet as the glucose tablets you’re familiar with and come in three flavors: Orange Cream, which Chris likened to those creamsicles of yore, with which I agree, Cherry and Wildberry. While taste is personal, and I didn’t find they taste that different than regular glucose tablets, I do like the idea of no artificial ingredients. GlucoLift also have the advantage of a flip-cap top on their sleeve of tablets. It’s a one hand operation, easier to open when working with a muddled brain, heart palpatations and shaky hands from a low. These tabs also carry the banner of being the 1st “TCOYD approved” product. Since GlucoLift are more expensive than other glucose tablets here’s a sweet introductory offer: Go to Amazon (or hit the “Buy Now on Amazon.com” button on the GlucoLift web site) and enter either of these two codes for a 15% discount. If you enter “TCOYD15G” a portion of the sale will go to benefit TCOYD. Enter “IN15GLUC” and a portion of the sale will go to benefit Insulin Independence, an organization helping people with diabetes maximize their management capabilities and reach their personal fitness goals. We’ll have to see what comes next from this Angell. Chris admits if he could alter the laws of physics he’d fit 15 grams of glucose into one chewable tablet the size of a breath mint. Ah, we can dream, can’t we? In March of 2009 I wondered for the first time whether to get a medic alert bracelet. Except for when I was first diagnosed almost 40 years ago, I haven’t given it a thought. The bracelets I’d seen back then were ugly and no one, including no HCP I’ve ever seen, has ever advised me to wear one. Then I began doing peer-mentor presentations where I travel across the country solo and I realized it might be wise to have something on my body that identifies I have diabetes. As fate would have it, just as I was about to go through security returning home from a presentation, all of a sudden I felt low and pulled myself off the line to check. Sure enough I was 39 mg/dl. That sealed the deal: I decided I would not travel anymore alone without a medic alert bracelet. After days and weeks of an exhaustive search for something attractive AND something a paramedic, and perhaps your man-on-the-street would recognize as emergency-wear, I found a medic alert plaque I liked – and my friend made a bracelet for it. I first wrote about it here brimming with optimism. The reason I never finished that story is because only a few weeks of wear and the finish on the plate gave me a rash on my wrist. There began another exhaustive search for another plate. I found one I loved online in real gold and silver, so unique and fine, yes a little expensive but I deserved it after 38 years of diabetes! But the artist (yes, artist) was no longer making them because the cost of gold had skyrocketed! A year later still looking (well I am a Virgo) I found this plate (first photo) at a health event but you can order here. It’s two tone, which I love, but in titanium so it doesn’t irritate my skin and it’s very lightweight. A few afternoons of roaming around Manhattan brought me to a shop in Chinatown where I found this lovely Italian bracelet. I’ve been wearing this medic alert bracelet whenever I travel – and feeling all the more secure for it. Today my designer medic alert bracelet has a sporty cousin. This summer my husband took up running and decided it was smart for HIM to have ID in the event he runs into a tree, or his measurable heart rate is no longer measurable. He found a company called road ID and bought himself both a canvas and rubberized ID band – not for fashion, but geography: he lives in Brooklyn and Holland. You can also opt for “Interactive” which allows you to create an emergency response profile online available to first responders. The company sells more band IDs, apparel and accessories – and I’m confident anyone is going to notice this piece of emergency-wear because the information is so apparent on my wrist. Road ID also has a great story and I’m a sucker for stories. In 1999 Edward Wimmer (President of the company) was training for his first marathon. His father suggested he carry ID in case he had an accident. Edward being a college senior dismissed him. Only days later while out running a pickup truck nearly struck Edward on a winding stretch of road. Later that year road ID was launched out of the family’s basement. It’s a company with attitude; you’ll have fun just reading their web site. If you haven’t thought about wearing a medical ID you should. Simply, it can save your life. I don’t see it as an annoying reminder that I have diabetes, as I once thought I might. I see it as an emblem of strength and the smarts to protect myself. Now that I have my road ID band maybe it will even encourage me to live up to its marketing talk – it’s primarily for athletes. OK, I think I’ve never, ever traveled this much but Friday – just as I’m getting on East Coast time back from Asia – I’m off to Albuquerque, New Mexico to talk at a Taking Control of Your Diabetes (TCOYD) event! If you attend please do join Kim Lyons, fabulous fitness expert and former trainer on TV’s “The Biggest Loser,” and me at our workshop, “Take the Next Step: Get Motivated,” to learn more about painful Diabetes Peripheral Neuropathy (pDPN). This diabetes complication results from nerve damage and causes burning, tingling, stabbing and throbbing pain most often in the feet and/or hands – or it can leave you without any sensation at all. At worst without feeling in your feet, you can injure your foot and not know it, which can lead to a foot ulcer and amputation. pDPN affects more than 20% of people with diabetes. While pDPN can interfere with every day activities, sleep and being active, there is help – simple exercises, medication if necessary, and discussing how to treat the condition with your doctor. You’ll find more information here. In our workshop I’ll be sharing stories of some amazing people who live a full and active life with pDPN – like Tom who rode 70 miles on his bicycle to celebrate his 70th birthday and retired schoolteacher, Arlene, an active DESA member, who’s climbed all 46 Adirondack peaks and leads hiking tours. Kim will demonstrate exercises that can help one live more comfortably with pDPN. If you can’t make it to Albuquerque, you can find Kim’s exercise videos, management tips and guidance on how to speak with your doctor on the Take the Next Step web site. If you miss this opportunity in Albuquerque, Kim and I will also be at TCOYD in Tampa, October 1 and San Diego, November 12th. We’d love to shake your hand if you attend. TCOYD events are a great one day health event all across the country for patients to learn more about taking care of their diabetes, and all for a very small fee. I’m really excited to be part of this effort and hope to meet you somewhere along the way. “Take the Next Step: Get Motivated” was developed and supported through a collaboration with Pfizer Inc. I landed back on New York soil Friday night from almost two weeks traveling in Singapore and Tokyo. I was invited to speak to medical and diabetes professionals at two major hospitals in Singapore – National University Hospital of Singapore and the ground-breaking Khoo Teck Puat Hospital, the manifestation of innovative CEO, Teng Liak, who believes a hospital should be a place of healing in all respects. I was given a personal tour of the hospital by Mr. Liak and include pictures here. Throughout the hospital are bright bold colors to find wards easily and lift your spirit. Each building contains learning centers where I consistently saw staff in workshops. Learning displays are mounted in almost every hallway. Each patient room has an intentional view of greenery for its calming effect. And each patient has a remote control to open and close the blinds in their room, increasing their overall sense of control. Rooms are equipped with coffee and tea service for family and visitors. The hospital was built in the north of Singapore because that is where the population is growing – bring the hospital to the people. Clinics contain no more than 5 doctors to keep the feeling personal and collaborative. Patients’ information is captured, not only in electronic records, but in a way that promotes health and healing. It is organized around: 1) Know Me 2) Identify Me 3) Direct Me 4) Track Me 5) Clear the Way For Me 6) Close the Encounter With Me and 7) Stay in Touch With Me. Singapore’s technological achievements are not widely known in the U.S., but they are on display everywhere: waiting times are posted, computers are front and center in each clinic for patient feedback and patient facial recognition is becoming standard. Wards are clearly marked from both inside the hospital and out and names are clearly displayed for all staff. The hospital grounds contain several restaurants that not only serve healthy food, but it is priced lower than unhealthy food. On the rooftops are organic farms where volunteers from the surrounding communities come to work together growing food for the hospital and socialize. Mr. Liak husked an ear of corn which we ate right off the tree, sweet to the taste. 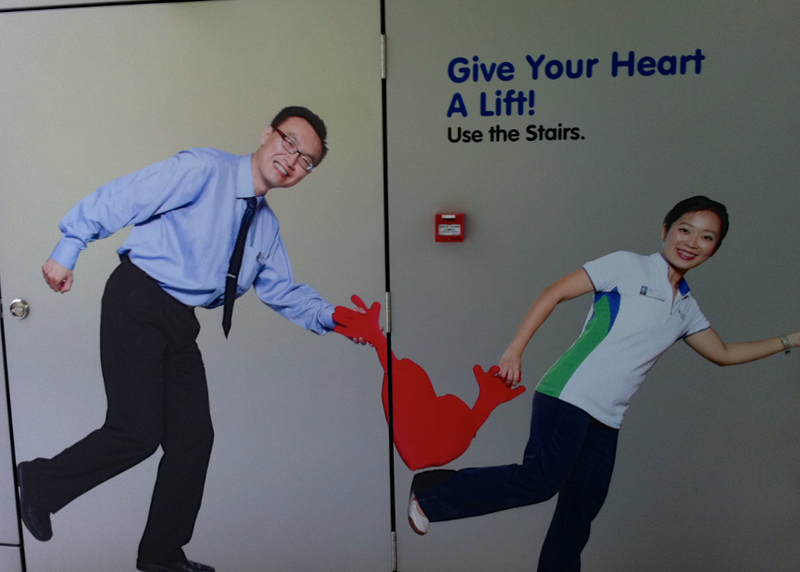 The hospital also serves Singapore by helping to maintain its eco system and rain forest. 29 species of butterflies exist on the hospital grounds, as well as a sanctuary for exotic birds, indigenous plants and ponds for thousands of fish. The mission of Khoo Tech Puat Hospital is to, “Provide good quality affordable and hassle-free healthcare with science, love and wisdom.” In the words of Mr. Liak, “We are trying to build a village.” To say I was duly impressed is an understatement. I was also impressed that 200 doctors, educators, students and staff came to hear me speak. I shared with them what it’s like to live with diabetes; that they lead patients on a journey and their expectations are critical to that journey; that hope is a powerful force and that it is possible for us to not just cope with diabetes but flourish with it. I was rewarded with their deep appreciation, respect for my knowledge and wisdom, and I learned that these clinicians face the same growing epidemic of diabetes that we do and the same struggles to help patients change behavior. After my four whirlwind days in Singapore, I dropped down to Tokyo to visit friends. I lived and worked in Tokyo from 1986 to 1992 and every few years take a trip back to see friends and get my dose of a place that has become a second home. This time I saw small signs of the recent earthquake – Ginza, usually lit like Times Square, was not nearly as bright, less busses and elevators were running and less air conditioning, all in an effort to conserve energy. Also my hotel had some cracks that ran through the walls, but I was told no major damage. Otherwise the only sign in the city that a major quake had occurred was the scarcity of foreigners. “Gaijin,” the name for foreigners in Japan, has been newly expanded to “Flyjin” and “Byejin” commemorating how many foreigners have left. But if you’re planning a trip, there’s no reason not to go. It doesn’t matter that it’s almost over, what matters is that you know something about kidney diseasebecause poorly controlled diabetes is a major contributor. Chronic kidney disease is a diabetes complication that usually takes 10 or more years to develop, and if your blood sugar and blood pressure are not well managed, you’re at risk. The kidneys sit just under the rib cage in the middle of your back. Their jobis to filter waste and water from the blood, regulate blood pressure and maintain the proper balance of salt and minerals in the blood. When your kidneys are impaired wastes build up in the bloodstream making you feel sick and lead to high blood pressure, weak bones and nerve damage. Early kidney disease has no signs or symptoms so you should get a blood test every year that indicates how well your kidneys are working. You should also have your urine tested to check for albumin, a protein that leaks into the kidneys when there is damage. Symptoms you may begin to feel as kidney disease progresses, is more frequent urination, particularly in the middle of the night, your urine may be foamy or bubbly, it may contain blood or you may feel pressure while urinating. Your may have swelling in your legs, feet, face or hands, feel fatigued, have a rash or severe itching, nauseaus or vomit, feel short of breath or more. While you’re calling your doctor to make an appointment for your tests, you can take the National Kidney Foundation’s Kidney Quiz! right now to see if you’re at risk. 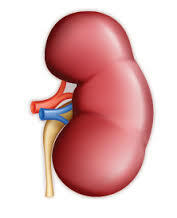 Kidney disease is usually treated with an ACE inhibitor or ARB to slow damage. You may also need to cut down on eating protein. Of course, kidney dialysis is used when the disease is severe. Check here for more information. Today marks the American Diabetes Association’s annual effort to get everyone to test whether they’re at risk for diabetes. You know the numbers, or maybe you don’t. They’ve escalated tremendously in just a year! 26 million people have diabetes, among them 23 million have type 2. 25-35% of those people don’t know they have diabetes. And almost a whopping 79 million people havepre-diabetes! Since doctors don’t prescribe medication or much in the way of lifestyle change for pre-diabetes, if you have it chances are high within 5 to 10 years you’ll have type 2 diabetes. So knowing if you have pre-diabetes is just as important as knowing if you have diabetes. Now take the diabetes risk test. The Test asks you simple questions about your weight, age, family history, like above, and other potential risks for type 2 diabetes and prediabetes. You’ll learn whether you are at low, moderate or high risk for type 2 diabetes. Diabetes Alert Day lasts a month: It runs through April 22 during which time the ADA will be rallying one million people to take the Test. Be among them. Seriously, you could be walking around with diabetes and not know it like millions of people. If that’s true for you, by time you’re officially diagnosed, years from now, you may be among the 25% who have complications upon diagnosis because they had diabetes for years and didn’t know it so didn’t take care of it. Trust me, if you can avoid that, do. Take the test, it’s a very small price to pay for a very large gift – knowing whether or not you have diabetes now.